We are huge fans of mashed potato in this house. In fact, the promise of a never ending supply of restaurant quality mashed potato was what finally persuaded my husband that a Thermomix was a really good investment! 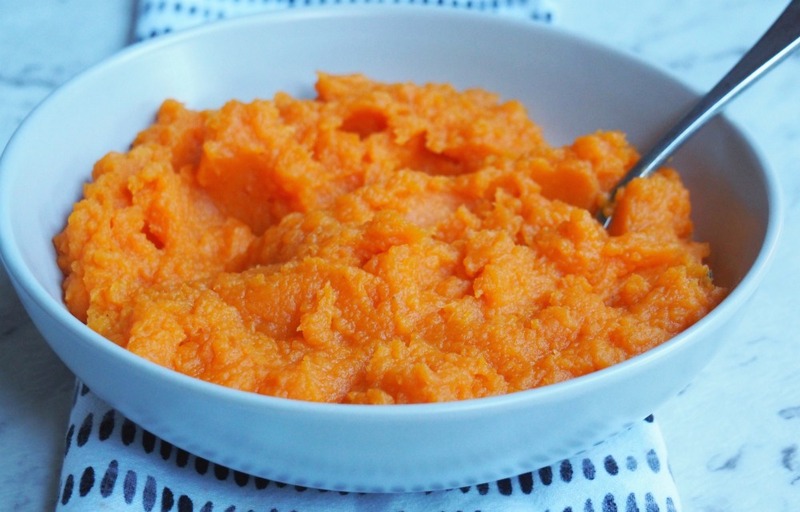 This colourful, healthy vegetable side is a delicious low GI, low fat, low iodine and hi-fibre alternative to regular mash. That means it’s good for you and it tastes good too. 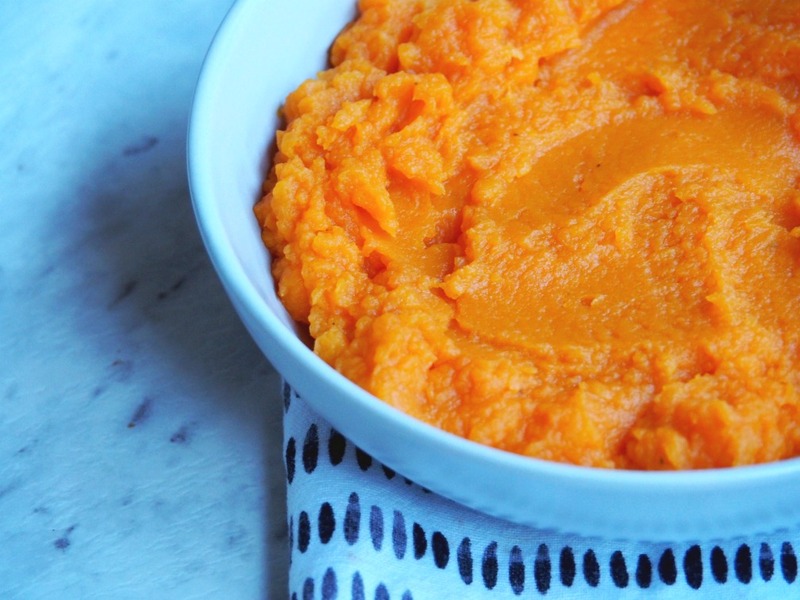 Plus it adds a delicious pop of colour to your dinner plate! This side is super easy to make on the stove and it’s super easy to make in the Thermomix too. When I make it in the Thermomix, I like to cook the veggies in the simmering basket but the compromise is that I have to halve the ingredients because there’s only so much I can squeeze in! 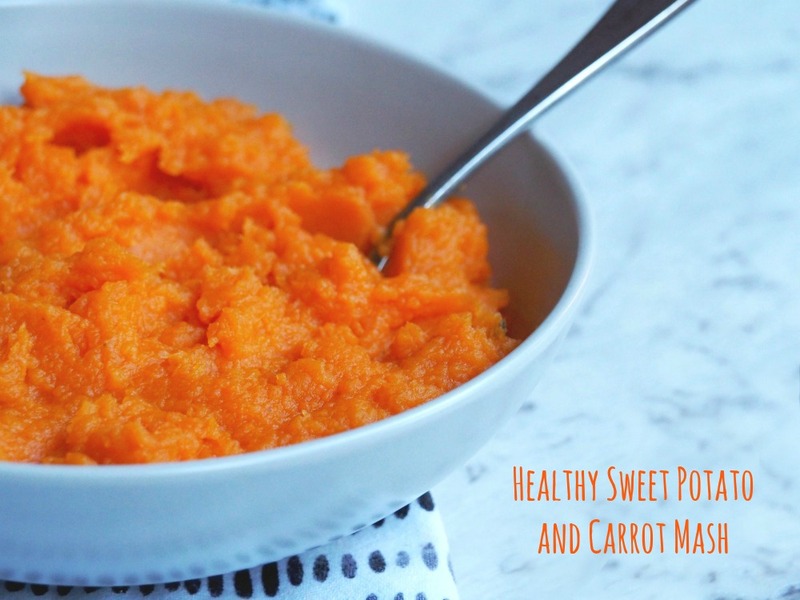 Put carrots and sweet potato in a pan of salted water and boil for about 15-20 minutes until soft. Drain well and mash with olive oil. Season to taste. Add 500g water to TM bowl. Add 250g chopped carrots and 350g chopped sweet potato in to simmering basket. Insert into TM bowl and cook for 17 minutes at Varoma temperature on speed 2. When veggies are ready, remove simmering basket, drain water and return veggies to bowl with a generous drizzle of olive oil. Season well. Chop for 5 seconds on speed 4. Insert butterfly and whip for 30 seconds on speed 4.